The politics of the 1950s revolved around two primary leaders, one Republican and one Democratboth moderate, and both willing to compromise to move the nation forward. The Republican leader was President Dwight Eisenhower. His two administrations changed American politics. Ike’s desire to be president of all the people, to run his administration down the middle of the road, to be a modern” Republican, set the stage for what the Republican Party would be for decades to come. His politics of moderation triggered a backlash from the party’s right wing that eventually grew into a conservative surge that reached fruition in the following decades. Standing astride the opposition was the Democratic leader in the Senate, Lyndon Johnson. At age 44, Johnson was the youngest leader in Senate history. His willingness to join forces with Eisenhower in the president’s battles against isolationism and reaction in his own party, along with the willingness of both men to compromise rather than engage in a politics of search and destroy, turned the 1950s into an era of political moderation. 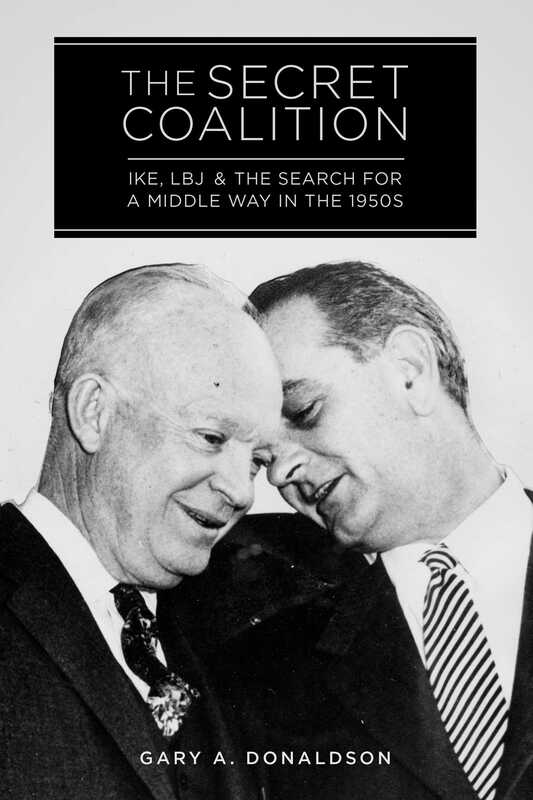 In The Secret Coalition, Gary A. Donaldson insightfully explores a period in U.S. history that many Americans regard as an Era of Good Feeling”when the two parties got along, and the nation achieved some sort of equilibrium and cooperation.